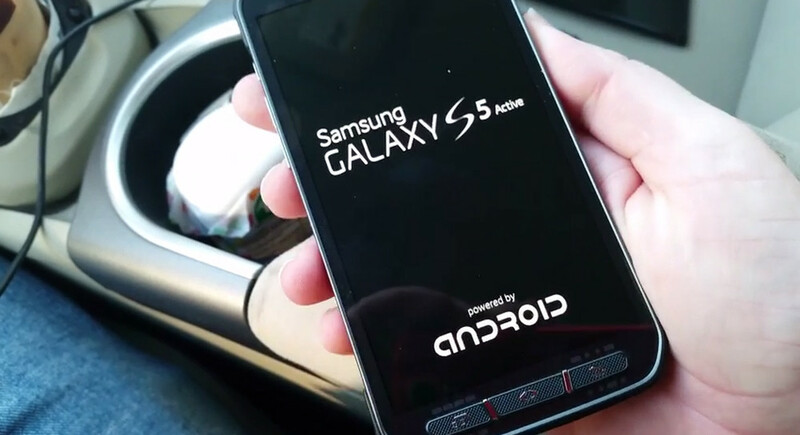 Video: First Look at the Samsung Galaxy S5 Active on AT&T? A device has popped up YouTube this afternoon that may be the Samsung Galaxy S5 Active on its way to AT&T. According to the leaker, this is a prototype of the rugged version of this year’s Galaxy S5, which we wouldn’t necessarily argue against. Outside of the body, the display is said to be “more crisp” than the regular Galaxy S5, though we aren’t sure how a normal person can tell just by looking at it. We will need a screenshot with full resolution or a benchmark that lists out specs in order to fully buy into that idea. The model number is SM-G870A, it runs Android 4.4.2, has a removable battery, has a heart rate monitor, and appears to run the same version of TouchWiz that you are now used to with the Galaxy S5. If we learn more, we’ll be sure to update this post.